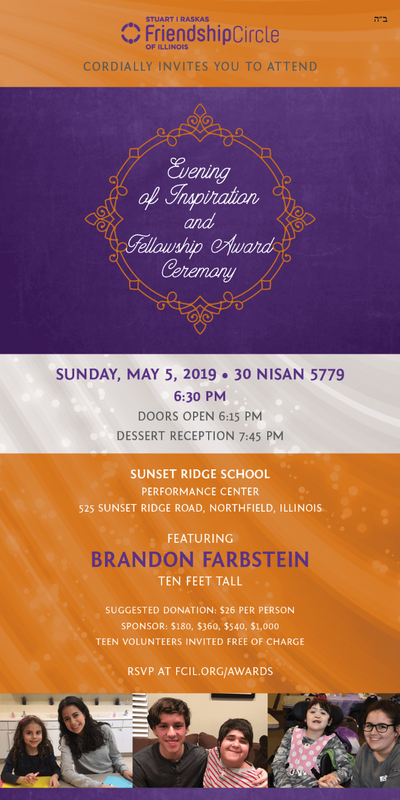 At just 19, Brandon Farbstein has already made a name for himself worldwide as a sought after speaker and prominent Gen Z activist. Diagnosed with a rare form of dwarfism, Brandon stands at 3’9” – making his life’s journey full of adversity, strength, and impact. 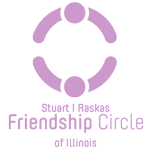 After feeling invisible and without purpose for the first 15 years of his life, he discovered his calling on the TEDx stage. He realized his life’s meaning: to change the lens through which people see their world. 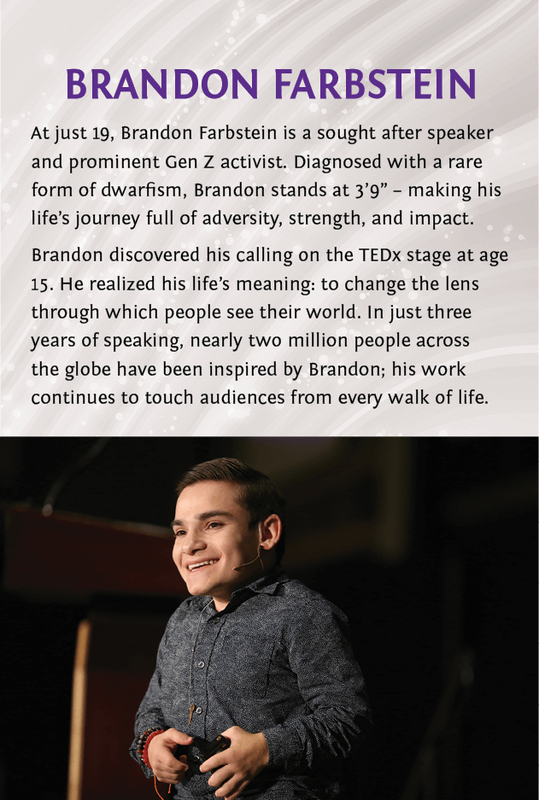 In just three years of speaking, nearly two million people across the globe have been inspired by Brandon; his work continues to touch audiences from every walk of life.